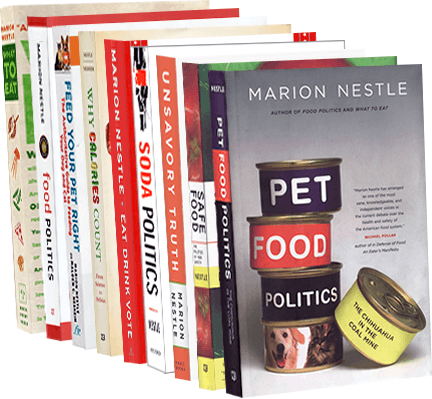 Food Politics by Marion Nestle » Industrial hemp: “squishy” legalities. But will it replace kale? Section 7606 of the 2014 Farm Bill says that notwithstanding the Controlled Substances Act, The Safe and Drug-Free Schools and Communities Act, and other laws that govern the cultivation of marijuana, it is now OK for state agriculture departments and universities to grow “industrial” hemp for research purposes. To put this in context: the average THC potency of domestically grown recreational hemp (a.k.a. marijuana) is about 6 percent, but can go much higher. With so little THC in industrial hemp, why would anyone want to bother with it? Textiles of course, but also medical purposes and dietary supplements. Even a little THC, apparently, goes a long way. The New York Times reports that companies are growing industrial hemp to make hemp oil as a treatment for epilepsy. Drug Enforcement Administration is offering few clues, insisting in public statements that while it is willing to allow marijuana sales in states that have legalized the drug, it might step in if growers try to sell beyond state borders…Any chemical that comes from the plant is still a controlled substance…When we get into hemp, it gets a little squishy, but it still is illegal. Squishy? Growing and using industrial or recreational hemp is illegal in America except in states that have made hemp legal or quasi-legal. For example, New York State recently passed a hemp bill that would set up pilot programs for the production of industrial hemp. At least one company is growing hemp in Colorado for use in dietary supplements. At a trade show last year, it displayed US Hemp Oil promoted for its content of CBD—cannabidiol, a non-narcotic fraction of the hemp plant. The company insists that CBD is a legal ingredient of dietary supplements. The pure oil is considered GRAS [generally recognized as safe]. Under the United States Uniform Tariff Code they tax and code hemp as a vegetable. I don’t know anything that’s a vegetable that isn’t GRAS. When we import it, it is always considered a vegetable, so that’s what we use in our declaratory actions…in March of last year Canadian company Abattis announced plans to bring a CBD-infused kombucha drink to market. However and whether CBD works for medical purposes, everyone expects industrial hemp to be a huge cash crop for its textile and health food uses. This is especially a boon for Kentucky, and it’s no coincidence that Kentucky Republican Senator Mitch McConnell spearheaded the hemp provision through the Farm Bill. The boon-for-Kentucky Website provides a long list of potential applications for industrial hemp, ranging from textiles to cosmetics to auto parts. Proponents of CBD provide an even longer list of diseases for which industrial hemp’s CBD is a treatment option. There isn’t much research on the physiological effects of CBD. This makes industrial hemp perfect as a dietary supplements. It might do something. That’s all you need for supplement marketing. The legal battles will be fun to watch. Stay tuned. In the meantime, there is hemp cereal—organic of course. Enjoy!